Often eclipsed by its neighbour Beijing, Tianjin is a much-underrated city and municipality in northern China with a fascinating history and colonial twist. 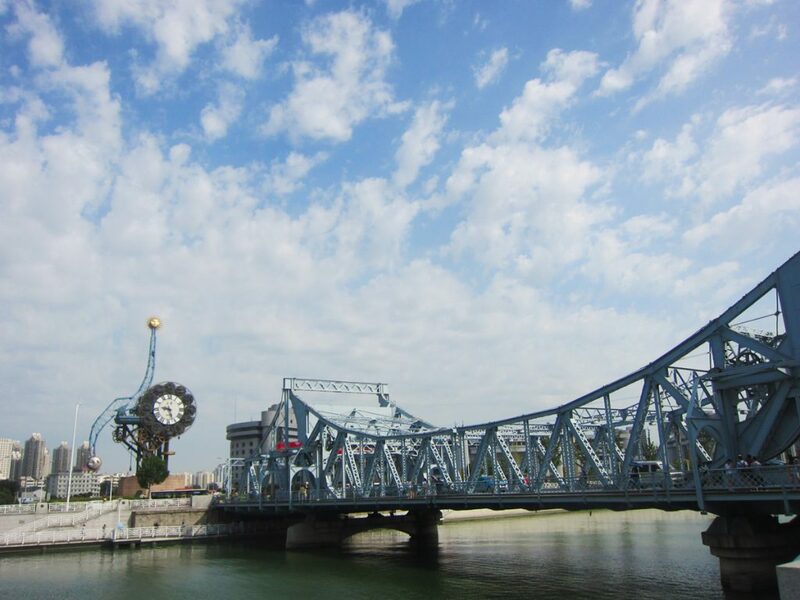 Bordering the Bohai Sea to the east and Beijing Municipality to the northwest, Tianjin has been a vital trading port for centuries, connecting China’s capital with the sea. However, up until the Song Dynasty (960-1279), the region was a sparsely populated marsh. 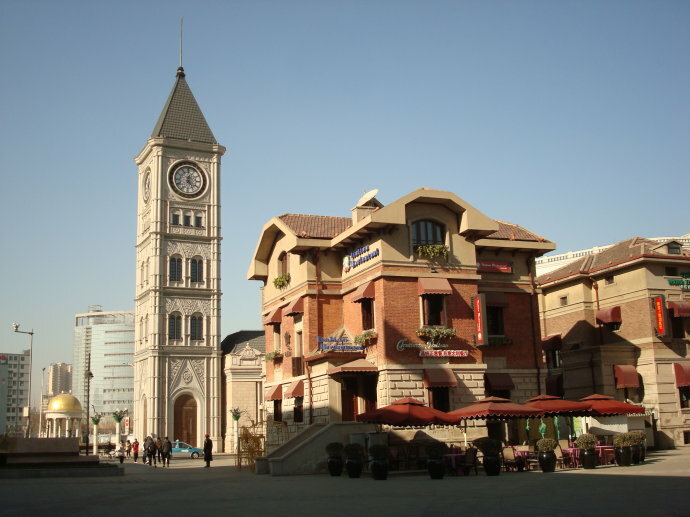 Like the ugly duckling, Tianjin has transformed from boggy swamp to bustling metropolis! Although the original settlement was quite small, it was developed into a major garrison town during the Ming Dynasty (1368-1644) and prospered as the main gateway to the imperial capital of Beijing. By the beginning of the Qing Dynasty (1644-1912), it had risen to become the main economic centre in northern China, thanks to its location at the northern terminus of the Grand Canal(1). However, its strategic importance and trade potential soon attracted some unwanted attention. After China’s brutal defeat during the Second Opium War, the Qing Dynasty was forced to sign a treaty that granted Britain and France the right to extraterritoriality in Tianjin, as well as opening the port up to free trade. Although this treaty only officially authorised that Britain and France should receive foreign concessions in the city, concession territories were soon granted to a number of other foreign countries, including Japan, Germany, Russia, Austria-Hungary, Italy, and Belgium. From 1860 onwards, these foreign countries began constructing banks, hospitals, churches, residential houses, and all manner of buildings in their given concessions. In a matter of decades, the city was filled with magnificent colonial architecture of various styles, from the bold shapes of French Art Deco to the characteristic deep reds of German Brick Gothic. The last of these concessions was only ceded back to China in 1947, meaning Tianjin had experienced a strong foreign influence for nearly 100 years. Nowadays, over 200 of these spectacular colonial buildings remain and have been preserved as popular tourist attractions. Among them, the Jing Garden within the Japanese concession is of particular historical significance. When the last emperor of the Qing Dynasty, Puyi, was forced to leave the Forbidden City in 1924, he relocated to Tianjin and took the Jing Garden as his private residence in 1929. It represents a fluid mixture of traditional Chinese and contemporary European architectural styles. The building now serves as a museum, where visitors can wander through the many rooms and admire the various exhibits of period furniture and ornaments. 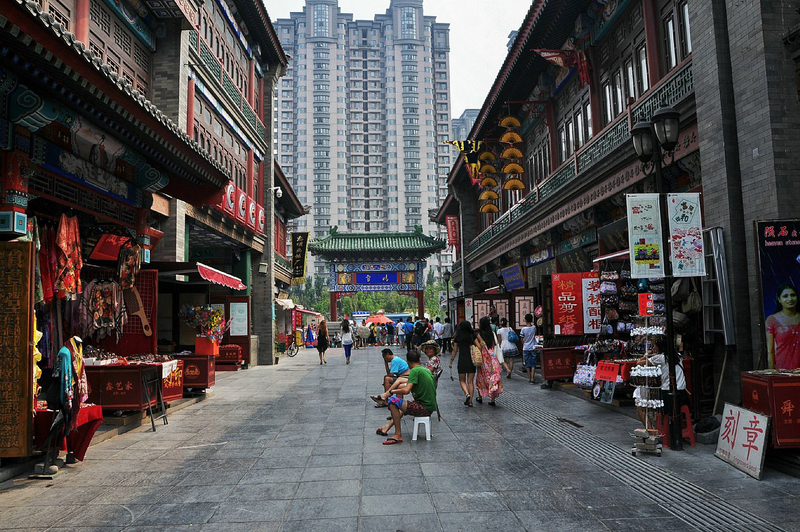 Tianjin Ancient Culture Street acts as a perfect complement to these foreign concessions, providing visitors with a welcome slice of traditional Chinese culture. Although it was only officially opened in 1986, it features a variety of ancient buildings, such as Tianhou Palace and Yuhuangge Taoist Temple, which were originally built in 1326 and 1368 respectively. 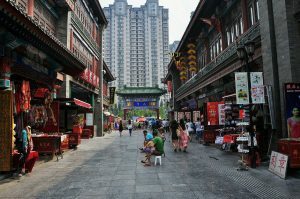 Hundreds of stores line the street, offering up famous local handicrafts like Yangliuqing paintings, Zhang’s painted clay figures, and Wei’s portable flying kites. With such an array of souvenirs on offer, you’ll be sure to take a piece of Tianjin’s history home with you! Alongside these ancient buildings, there are several other historic houses of worship dotted throughout the city, including Dabei Monastery, which is the oldest Zen Buddhist temple in Tianjin, and St. Joseph Cathedral, a stunning Roman Catholic church located in the French concession. The municipality itself goes far beyond the confines of the city, spreading out across a vast expanse of flat plains near the coast and hilly grassland to the north. Its proximity to the sea means that it benefits from a continental climate, with four distinct seasons. Summer temperatures average at a comfortable 27 °C (81 °F), while temperatures in winter can regularly plummet to a chilly −4 °C (25 °F). It is important to note that the dry and windy spring is occasionally menaced by sandstorms blowing in from the Gobi Desert, and severe winter storms are also common. Located approximately 15 kilometres (9 mi) west of Tianjin’s city centre, the town of Yangliuqing has played a significant role in the history of the region and is renowned for its Chinese New Year-themed, traditional woodblock print paintings. It is also home to the Shi Family Grand Courtyard, which dates back to 1875 and is the former residence of a wealthy merchant named Shi Yuanshi. With over 275 rooms, 200 attached houses, and its own theatre, this colossal complex would put even the finest mansions to shame! Nowadays it serves as a museum, with a large collection of folk artwork bedecking its walls. (1) The Grand Canal: It is the longest canal in the world and starts in Beijing, passing through the provinces of Hebei, Shandong, Jiangsu, and Zhejiang before eventually terminating in the city of Hangzhou. It links the Yellow River to the Yangtze River and the oldest parts of it date back to the 5th century BC, although most of its construction took place during the Sui Dynasty (581-618).